Persian is an Iranian language within the Indo-Iranian branch of the Indo-European languages. Farsi (فارسی‎ : fārsi) is the local name of the language in Iran and is sometimes used in English instead of the word Persian when referring to the language. 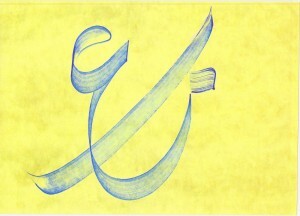 Parsi (پارسی :‎ pārsi) is a variant of this name. There are approximately 110 million Persian speakers worldwide, with the language holding official status in Iran, Afghanistan and Tajikistan. Description:UT-PersianNormalizer is a simple text cleaning tool developed in Java for the task of normalizing texts in the Persian language. All letters that have different styles (e.g. the Arabic and Persian common letters) are converted to Persian style with Persian Unicode encoding. Arabic and English digits are all changed to Persian digits. All types of space are edited to unique space character. All text symbols (like ?,%,-,..) are converted to standard Persian style.